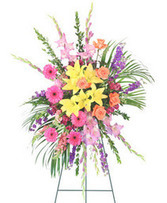 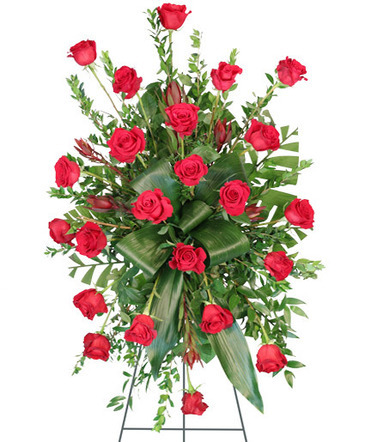 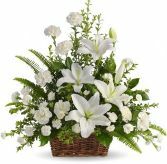 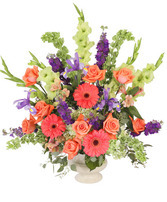 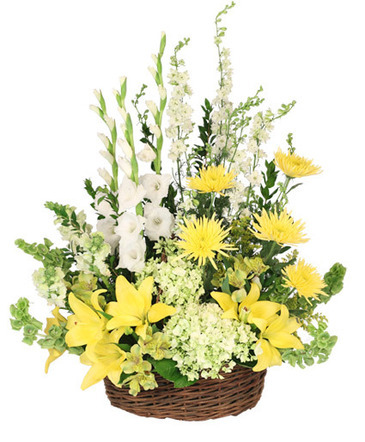 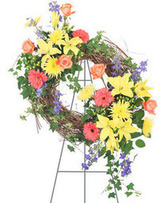 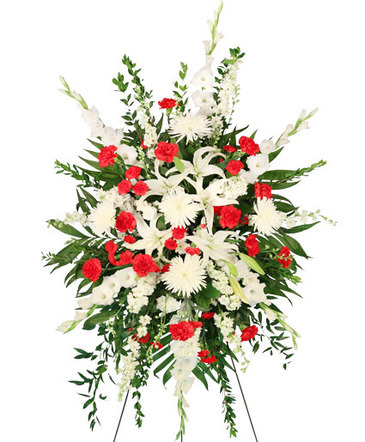 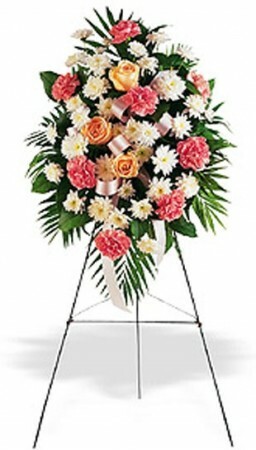 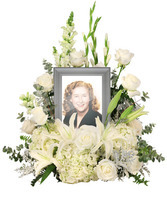 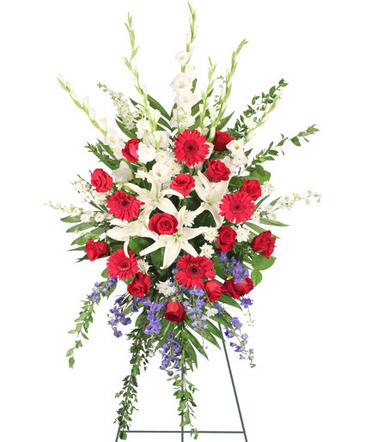 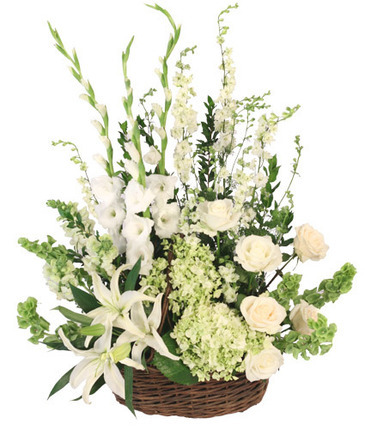 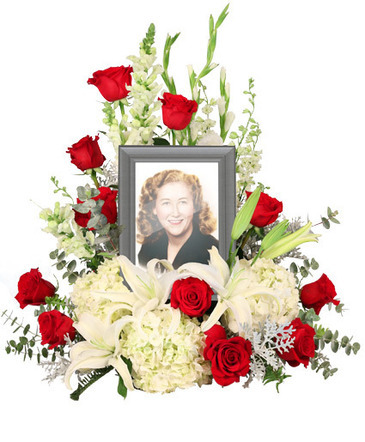 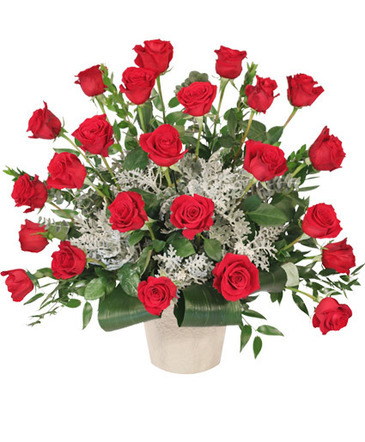 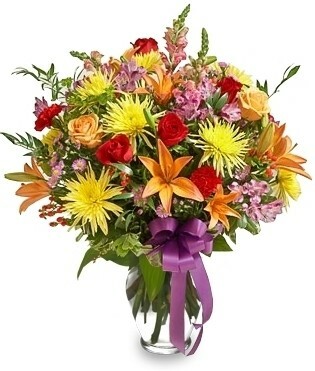 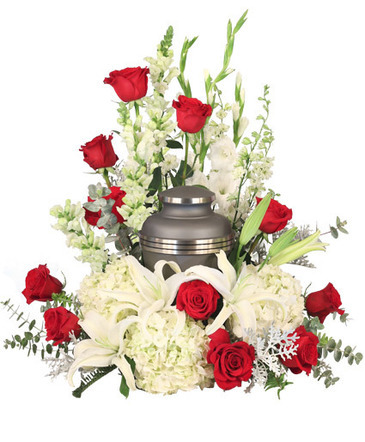 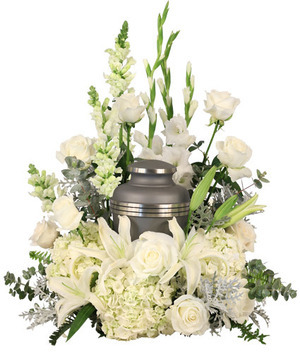 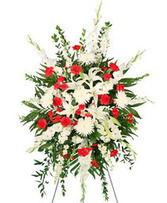 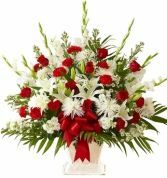 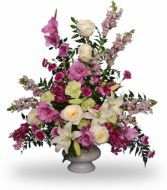 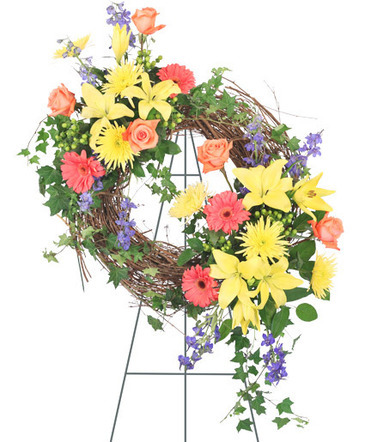 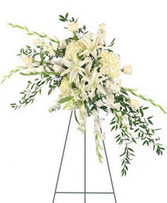 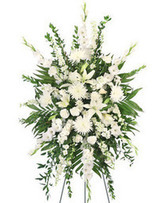 Funeral Flowers from ROCKVILLE FLORIST & GIFT BASKETS - your local Garrett Park, MD. 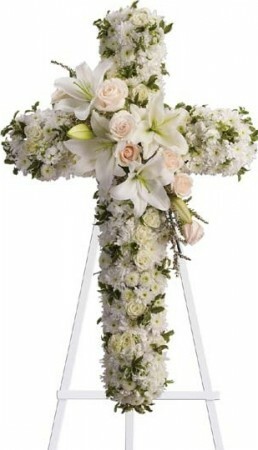 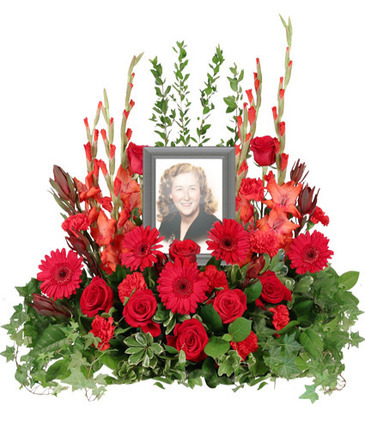 Flowers Such As Crme Roses, White Spray Roses, Oriental Lilies, Stock, Leptospermum, Cushion And Button Spray Chrysanthemums On An Easelmounted Standing Cross. 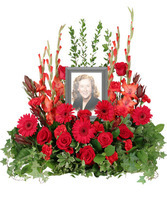 we understand how difficult it can be to find a unique sympathy gift for someone who has experienced the loss of a loved one. 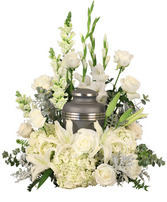 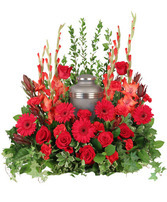 We have carefully selected items below that we know are appropriate gifts that are suitable to be sent to the Funeral Home, Church or other place where the services may be held. All items displayed can certainly be altered in regards to color scheme, flower types. Flowers In This Arrangement, Carnation, Gladiolus, Rose White, Snapdragon, Stock, Carnation Mini. 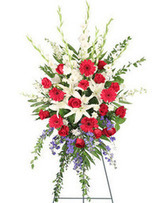 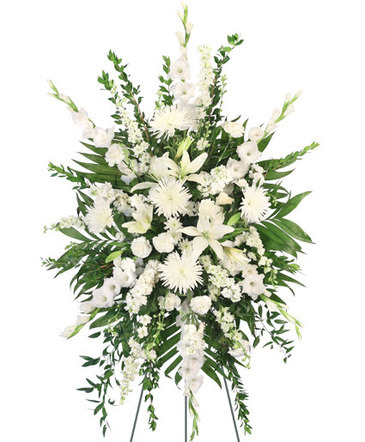 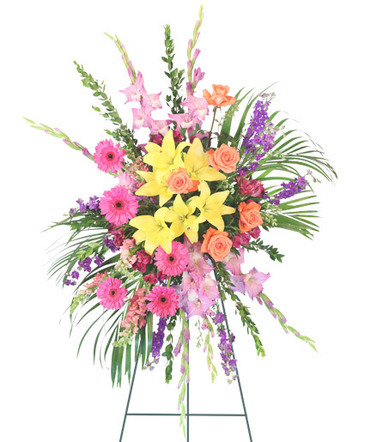 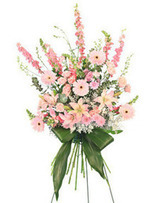 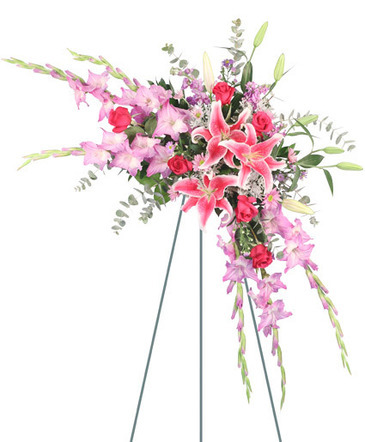 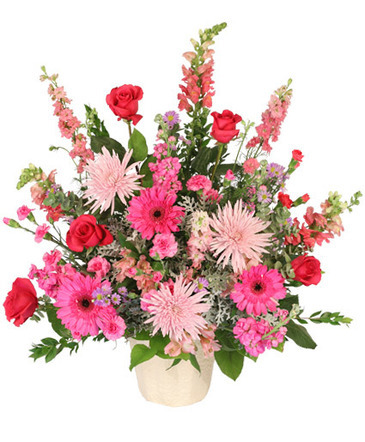 A Standing Spray Of Fresh Flowers Such As Roses, Carnations, Delphinium, Monte Cassino Asters And Stock In Shades Of Pink, Purple And White Is Delivered On An Easel, Approximately (W) X (H) (Dimensions Do Not Include Easel).